Brandeis University and the Lydian String Quartet will be accepting applications for the position of first violinist / associate professor of the practice until November 30, 2015. To learn all the details on how to apply for the position, click on button below! First violin since 1987, Daniel performed and recorded an incredible amount of repertoire as a Lydian. As a touring musician, he has played in 11 countries in Western Europe and the former Soviet Union, and throughout Australia and the United States. He has performed and recorded a wide repertoire on period and contemporary instruments. In addition to the Lydian String Quartet's many recordings, he has recorded chamber music by Buxtehude, Bach, Marais, Rameau, Vivaldi, Telemann, Mozart, Schubert, Charles Ives, Harold Shapero, Irving Fine, Yehudi Wyner, David Rakowski and Yu-Hui Chang. The members of the Lydian String Quartet are proud and excited to announce their 15-16 season. Between August 2015 and April 2016, the 'Lyds' will travel to the west coast, Utah, Wisconsin, and throughout the Northeastern United States performing music by a wide range of composers, including Kurt Rohde's Treatises for an Unrecovered Past, the result of the quartet's first Commission Prize Competition! A detailed 15-16 calendar is available here. In late August, the Lyds kick off the season at Wisconsin's Token Creek Chamber Music Festival, performing the music of two Boston-based composers: Token Creek Artistic Director John Harbison and the late Lee Hyla. The quartet will play both composers’ third string quartets, both of which were premiered by the Lyds. In September, the Lyds return to the Music and More series in Western Massachusetts, and in October, the quartet brings the music of Hugo Wolf to Emanuel Music in Boston. Mendelsohn's first quartet rounds out both the programs for the aforementioned concerts. As part of the Lydian's residency at Brandeis University, they will perform four times next season - in October with Tony Arnold, readings of student compositions in December, a Fauré festival in March, and a world premiere by Lydian Quartet Commission Prizewinner, Steven Snowden, in April! Committed to new music, the Lyds will present chamber music master classes and composer workshops along their trips next year. Schools include UC Davis (concert at the Davis Mondavi Center), the Festival of New American Music at Sacramento State University, Brigham Young University, Amherst College, and York College (PA). For these programs, the quartet will perform music by Harold Meltzer, Lee Hyla, and Kurt Rhodes, three composers with strong ties to the ensemble. Please visit our calendar for more information! For more information on booking the Lydians, please contact JMS Artist Management at www.jmsartistanagement.com or call 857-210-4607. The quartet teamed up with JMS Artist Management earlier this year. March 20, 2015 - The Lydian String Quartet and Brandeis University are proud to announce the winner of their 2015 Lydian String Quartet Commission Prize. Steven Snowden of Austin Texas has been commissioned to compose a new quartet for the Lydian Quartet, to be premiered in the spring of 2016 at Brandeis University. Snowden was chosen from an incredibly accomplished pool of composer applicants. In addition to awarding the commission to Steven Snowden, composers David Liptak, Lansing McLoskey and Andrew Waggoner have been awarded honorable mention. Snowden received degrees from the University of Colorado at Boulder, and at the University of Texas at Austin, where he earned a DMA in composition, with a certificate in Electronic Music. He has recently received awards and fellowships from the Aspen Music Festival, the Left Coast Chamber Ensemble, the Austin Critics’ Table, Copland House, ISCM World Music Days, New Music USA, IC Hong Kong, The Mizzou New Music International Composers Festival, Future Places Portugal, the National Endowment for the Arts, and the ASCAP Morton Gould Awards among others. He was also the recipient of a 2012-2013 Fulbright Grant to Portugal. In 2013-2014 he was a visiting professor and composer in residence at the Hong Kong University of Science and Technology and currently works as a freelance composer and concert presenter in Austin, Texas. More information about Steven Snowden can be found at: http://www.stevensnowden.com. Lydians play for inauguration of Chris Burden's "Light of Reason"
On September 10, 2014, the Lydian String Quartet performed the second movement from Shostakovich's String Quartet no. 8 for the inaugural ceremony of the outdoor landscape and sculpture installation "Light of Reason" created by artist Chris Burden for the Rose Art Museum at Brandeis University. The evening was a remarkable Brandeis combination of art, music, speeches, and protest. Artist Focus: meet our newest member, Mark Berger! We are thrilled to welcome our new violist Mark Berger to the Lydian Quartet! An international search led to Berger, who is familiar to audiences through his performances with the Boston area’s finest musical organizations, including the Boston Symphony Orchestra, Emmanuel Music, Boston Modern Orchestra Project, Boston Musica Viva, and the Worcester Chamber Music Society. He has recently been featured as violist with the Boston Symphony Chamber Players and composer/pianist Thomas Adès, as a soloist in works by Gérard Grisey and Jérôme Combier with Sound Icon, and has premiered a number of works by established composers. Berger also has been affiliated with a number of local colleges and summer festivals as a private teacher, chamber music coach, and teacher of music theory and composition. Also an acclaimed composer, Berger has been awarded prizes from organizations such as the League of Composers/ISCM, ASCAP and the Rapido Composition Competition. 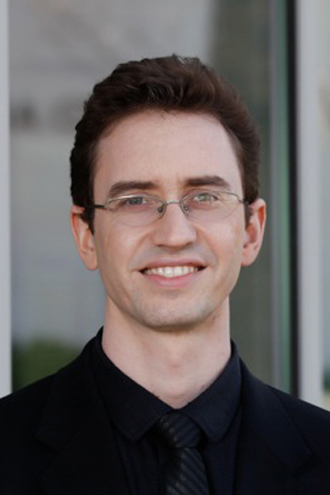 He has composed both instrumental and vocal music, and earned a Ph.D. in composition from Brandeis. Berger began his tenure as associate professor of the practice at Brandeis in July. The Lydian String Quartet’s regular professional season will begin fall of 2014. Mark fills the position of founding member and violist Mary Ruth Ray (1956-2013). Our new recording of the late Beethoven quartets: the reviews are in! "In its recordings, the Lydian Quartet has been associated primarily with 20th-century American music, although it has ranged much more widely in its concertizing. Here it tackles the very pinnacle of the standard quartet repertoire, in competition with virtually every distinguished string quartet of the past half-century and beyond. Fortunately, the Lydian contribution is far from redundant, for these are fine and distinctive performances, recorded in very realistic sound. The Lydian players take what might be termed a "classical" approach to these iconic works, in that they tend to set a tempo and hold it firmly, although not without a tasteful application of rubato at some points. They are also particularly concerned with rhythmic precision and clean, clear articulation. They neither rush nor linger, generally avoiding extremes of tempo. These tightly organized performances are further characterized by well-focused tone, precise intonation, shapely phrasing, and judicious pacing. They also display an unusual degree of clarity and attention to balances among the instruments, with a more open, less-blended sound than that produced by such Central European ensembles as the Alban Berg, Smetana, and Takacs Quartets. This clarity is a major asset in handling the often complex texture of Beethoven's writing, and exchanges among the instruments are unusually well defined."